WhatsApp rolled out Stickers to iOS and Android a few weeks ago, allowing everyone to paste these little cartoons into their conversations. The company’s bundled a limited set of stickers inside the app, but people naturally want more variety in their stickers. This is where a huge number of new sticker apps have come into the picture, flooding the Play Store, but not the App Store. Turns out, Apple is apparently deleting these applications. According to WABetaInfo, the brand says that all these apps are violating its guidelines. For instance, Apple thinks there are too many apps with similar behavior. These applications further require WhatsApp to be installed in the iPhone. The firm maintains that apps shouldn’t need another app to work. Lastly, it’s noticed that the design of these apps are the same. Apple seemingly doesn’t want a lot of applications doing the same thing, which is why they aren’t approving other submissions. While it seems annoying on the surface, it might actually be a good move on the iPhone maker’s part. Having a ton of pointless sticker apps would confuse users and could contain copyrighted materials or stickers stolen from other apps. 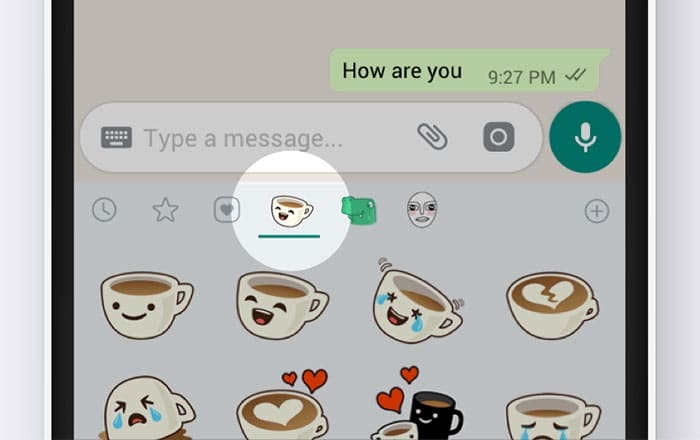 WhatsApp should try and confront this problem head-on by releasing more official stickers in its in-app sticker store. WhatsApp’s actually encouraging developers to make sticker apps for iOS and Android on its FAQ page. It might have to change its policy now that there are so many clone apps are out there. For now, iPhone owners will have to stay content with a limited number of sticker apps filled with ads in the App Store. In related news, WhatsApp recently opened up an official beta program for iOS users for them to try out features before anyone else. Unfortunately, it got filled up pretty fast so there aren’t any positions available at the moment. The lucky few can try out tools like Touch ID integration and a Dark Mode in WhatsApp.